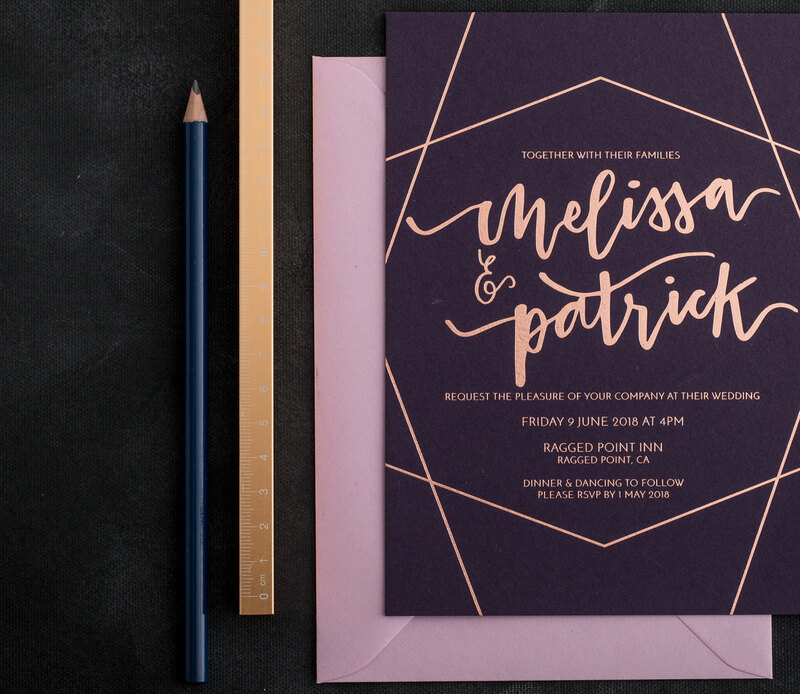 Originally inspired by terrariums filled with succulents and display cases filled with candles; the diamond wedding stationery suite has a relaxed geometric feel, with die cut inserts and quirky calligraphy. It lends itself perfectly to both relaxed boho style weddings and more formal affairs. Available in all hot foil, digital foil and digital printing, and fully customisable and personalised to you – we call our house collection ‘bespoke design without the bespoke fee’.